The Nevada Democratic Convention on May 14 met with chaos as Bernie Sanders supporters protested the results and process of delegate allocations. Reports of protesters throwing chairs and death threats made to to Nevada Democratic Party chairwoman Roberta Lange have been making the rounds. With the recent events, members of the Democratic party worry that the chaos will repeat itself at other state conventions and at the national convention in Philadelphia this summer. “You’ll see similar things happen in other state conventions elsewhere in the next few weeks. I don’t know if it will be to the same extent as Nevada,” predicted Ken Martin, chairman of the Minnesota Democratic-Farmer-Labor Party. At the Nevada Convention, tension ran high when Sanders supporters accused state party leaders of putting them at a disadvantage, objecting to procedural votes to approve the rules of the event. Sanders supporters also questioned a credentials committee’s disqualification of 58 would-be Sanders delegates. State party officials said the would-be delegates didn’t provide acceptable identification and did not meet the May 1 deadline to register as Democrats. The Democratic party, which has sought to portray themselves as the party of unity against a divided Republican party, has had a tough time getting supporters of Sanders behind frontrunner Hillary Clinton. “We are deeply concerned about the troubling details laid out in the letter from the Nevada Democratic Party,” Wasserman Schultz said in the statement on Tuesday. “I wanted to make sure he understands, that he’s heard what went on there. The violence and all the other bad things that has happened there,” Reid told reporters. “That is nonsense. Our campaign has held giant rallies all across this country, including in high-crime areas, and there have been zero reports of violence. 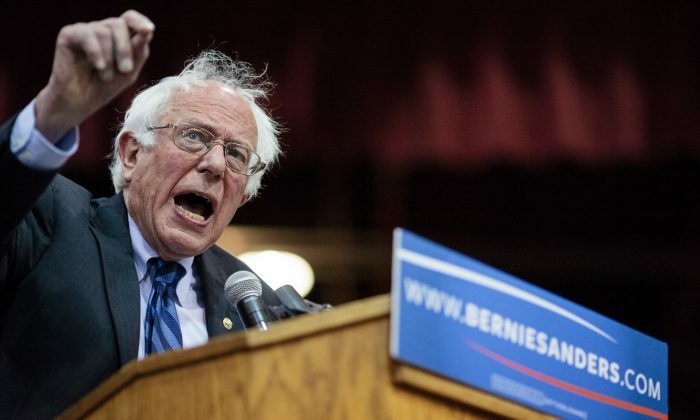 Our campaign of course believes in non-violent change and it goes without saying that I condemn any and all forms of violence, including the personal harassment of individuals,” Sanders said. “The chair of the convention announced that the convention rules passed on voice vote, when the vote was a clear no-vote. At the very least, the Chair should have allowed for a headcount,” Sanders continued.